Let’s be honest – how many of us think that the local bridleways group is there to carry out clearance work or act as a referee when someone puts a locked gate across a track you’ve ridden for years. In reality, these volunteer bodies do much more for horse riders and carriage drivers than most of us realise and, if ever there was a time to support their work, it is now. Founded more than 35 years ago, Essex Bridleways Association is one of the longest running equestrian access groups in the country. 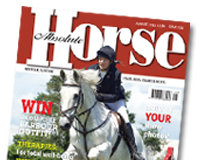 In our June issue EBA Chair, Julia Wilson, explains why access for riders is such a big issue and what can be done to secure off-road riding for horse owners.